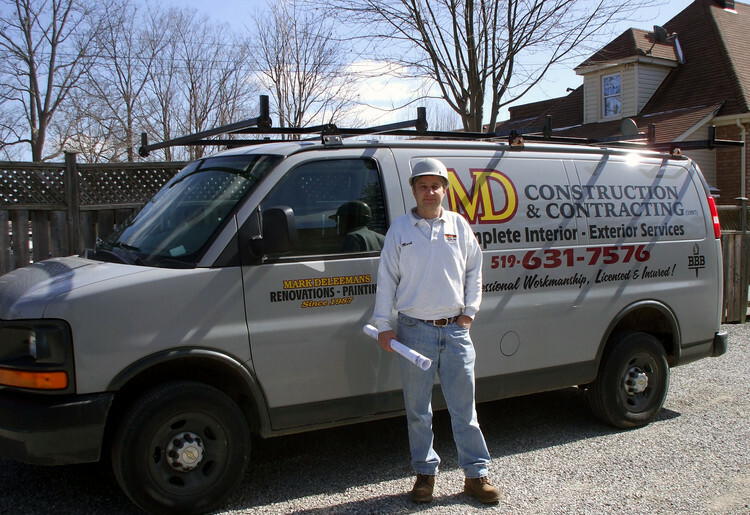 MD Construction & Contracting was founded in 1987 by owner and President Mark Deleemans. From the beginning the company has been committed to quality and customer satisfaction. Over the years in striving for excellence, we feel that our employees and sub trades are the best and most knowledgeable in the business. Whether we are doing a small home improvement, installing a new window, replacing shingles or renovating your dream home, you can be assured the job will be done correctly, on time and within budget. We take great pride in our workmanship, attention to details and our customer service. Our staff has long standing business relationships with engineering and architectural firms that allow us to assist you with the design and build process of your project. The vast experience we have gained in residential, commercial and insurance work enables us to provide our customers with the quality service that they expect and deserve. We offer detailed estimates for all types of projects from kitchens, windows, rec. rooms, additions and structural foundation repairs. MD Construction & Contracting is licensed and fully insured with WSIB and liability. We are also proud members of the Western Ontario Better Business Bureau and the St. Thomas Chamber of Commerce.